Autoimmune disorders occur when the immune system mistakenly attacks the body's own tissues as if they were harmful invaders, such as bacteria or cancer cells. This leads to inflammation, destruction of healthy tissue and changes in organ function. 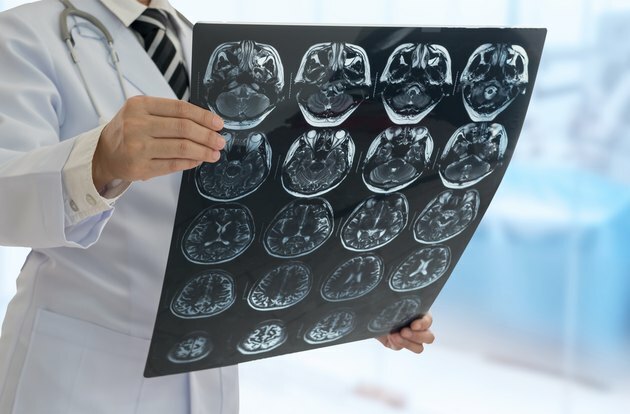 Autoimmune disorders of the nervous system can attack the central nervous system (CNS), which includes the brain and spinal cord, or the peripheral nervous system, consisting of nerves that connect the CNS with the limbs and organs. Some autoimmune disorders attack only the nervous system while others affect multiple organ systems. With Guillain-Barré syndrome, the immune system attacks the peripheral nerves, causing inflammation and temporary malfunction. Symptoms come on and tend to progress quickly, often days to weeks after an infection. Typical symptoms include weakness that begins in the legs and gradually spreads upward in the body, with both sides of equally affected. In severe cases, temporary paralysis might occur. If this paralysis affects the muscles of breathing, short-term mechanical ventilation is needed. Recovery can take weeks to months and some people experience long-term weakness. Chronic inflammatory demyelinating polyneuropathy (CIDP) is an uncommon, chronic autoimmune disorder that attacks the peripheral nerves. The condition often involves damage to the nerve cells themselves as well as demyelination. Symptoms typically develop gradually over several weeks to a few months and usually involve abnormalities in sensation, such as numbness and tingling, as well as muscle weakness and possibly paralysis. In some people, these symptoms come and go. Systemic autoimmune diseases — those that affect multiple organ systems — sometimes lead to damage to the CNS and/or the peripheral nerves. A June 2012 Current Opinion in Neurology review article reported that 5 to 22 percent of people with systemtic lupus erythematosus experience peripheral nervous system symptoms. Specific symptoms vary depending on the nerve(s) involved. The symptoms occur due to an immune system attack on the nerves themselves or an attack on the blood vessel that supply the affected nerves. Another systemic autoimmune disorder called Sjögren syndrome also frequently attacks the nerves, causing muscle and/or sensation-related symptoms. According to the Current Opinion in Neurology article, 10 to 60 percent of people with Sjögren syndrome experience nervous system symptoms. Autoimmune diseases involving the nervous system are often chronic, requiring ongoing medical care and monitoring. Treatments vary depending on the specific condition. Physical therapy, occupational therapy and/or speech therapy are often included in the overall medical treatment plan. Many people with chronic autoimmune nervous system conditions find individual counseling and support groups helpful.